characteristic of actual filling with reference to the advantages of its counterparts at home and abroad. 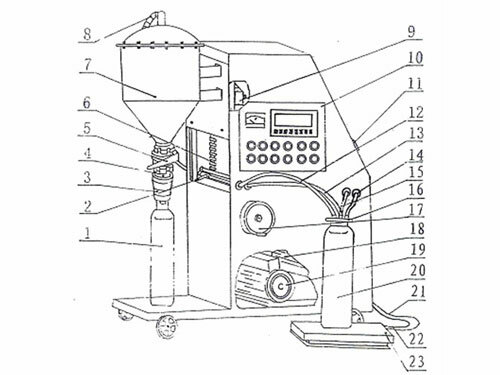 Powder is rapidly absorbed into the cylinder to be filled by vacuum jet current. It is equipped with T3806 weight display of high precision and SP-T printer. The filling is automatic and quantitative. The residual dust on the filter is cleared by use of the negative pressure produced by vacuum. As it integrates electronics, electrical device and machinery into one entity, labor intensity is lowered and work environment improved. It is characterized by small volume, light weight, lower energy consumption, easy movement, simple operation and longer service life. 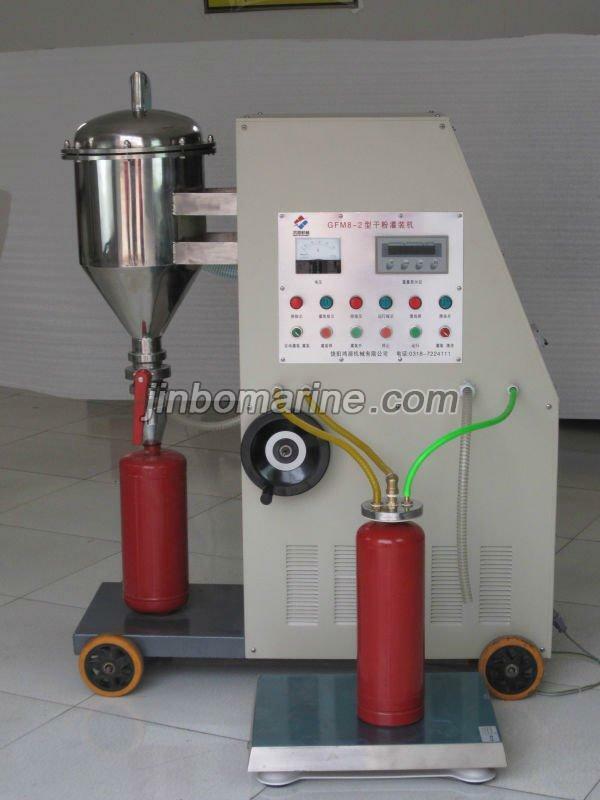 So it is specially suitable for powder filling of fire extinguisher and also ideal for other powder filling sector. Fast delivery,excellent quality,good after service.